Mini update. 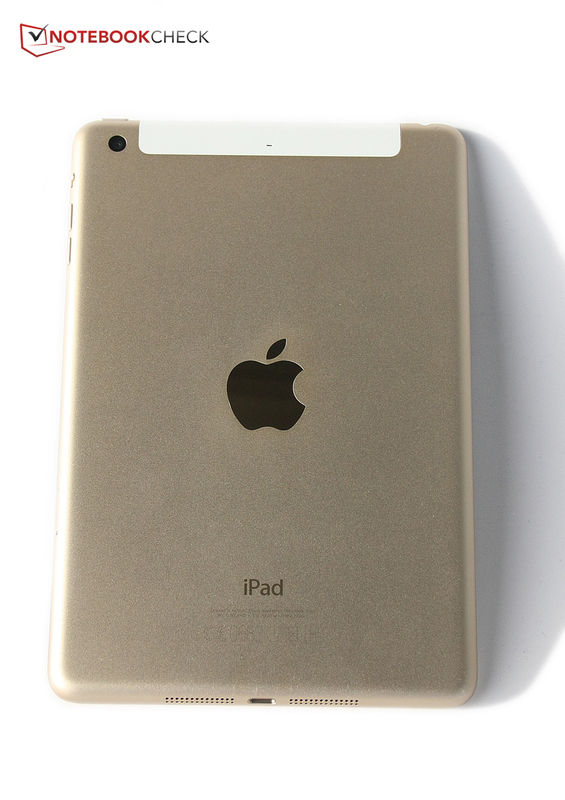 The changes of the new iPad Mini 3 are small: You only get a fingerprint reader. 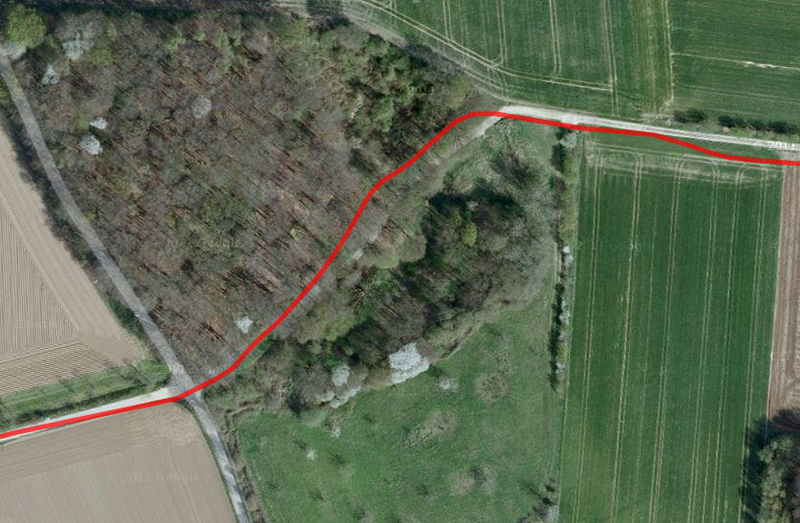 Otherwise, it is virtually identical with its predecessor. 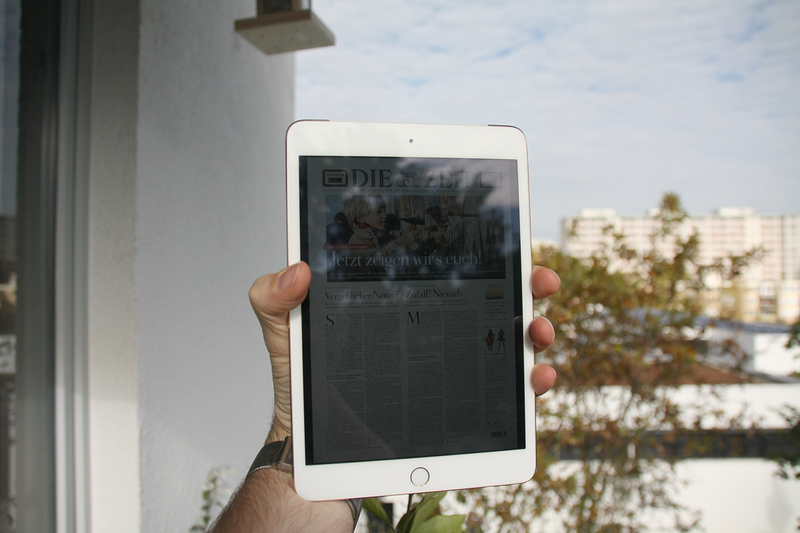 Our review shows why the iPad Mini 3 is still a very good tablet. Lack of innovations, a slow-growing tablet market, too many products – Apple was confronted with a lot of criticism recently, including some new and some old arguments. Still, this didn't affect the sales numbers, the iPhone 6 is a huge success. But what about the new iPads? We review the new iPad Mini 3, Apple's 7.9-inch device, where the last generation just wasn't as good as the larger brother, the iPad Air. So it is a bit surprising that Apple did not really change anything at a first look: The device is still powered by the Apple A7 SoC, you still get a high-resolution Retina display and the battery capacity is similar as well. This means the changes are pretty small: "Touch ID," the fingerprint sensor that we already know from the iPhone is integrated, just as Apple Pay. 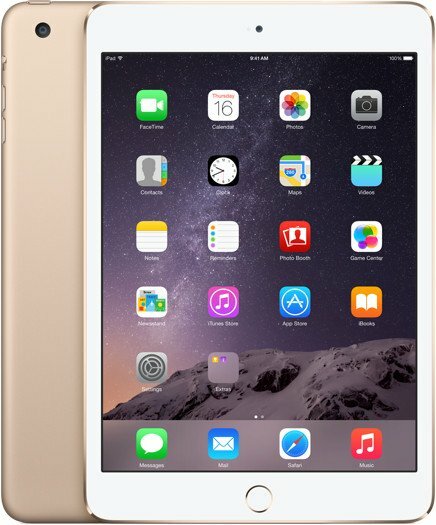 Besides the version with 16 GB storage, the iPad Mini 3 is now also available with 64 and 128 GB storage. The predecessor is not available anymore in these configurations in the Apple store, but it is elsewhere on the Internet. The additional charge for the new version is pretty hefty: The iPad Mini 3 costs 100 Euros (~$124) more than the comparable iPad Mini Retina model. The most expensive version with LTE and 128 GB even costs 709 Euros (~$880). All models are also 10 Euros (~$12) more expensive than the iPad Mini Retina at its launch. 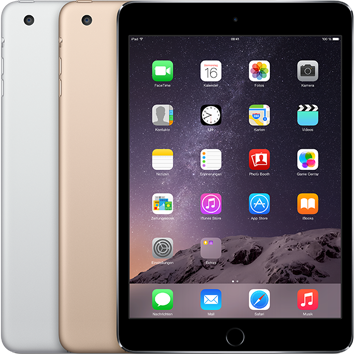 If you think this is too expensive, then you can still buy the iPad Mini 2 for more moderate prices. So the iPad Mini 3 is more of a facelift of the predecessor. "Never change a winning team" or actually lack of innovations? We will find out in our review. Comparison devices include the predecessor Apple iPad Mini Retina to see if there are any other changes, and also the Google Nexus 7, Asus VivoTab Note 8, Nvidia Shield Tablet P1761W, HP Slate 8 Pro 7600eg, Huawei MediaPad M1 8.0, Samsung Galaxy Tab S 8.4 and Amazon Kindle Fire HDX 7. The case is available in three colors. 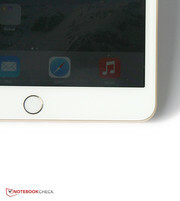 Put the iPad Mini Retina and the current iPad Mini 3 on top of each other and you quickly see that the dimensions are similar, even the measurements are completely identical. The weight doesn't differ, either; however, our review unit has an LTE module, which adds another 10 grams to the weight. Nothing really changed on the case, either: It still consists of a high-quality aluminum cover that accommodates the components and the display. The build quality is still top-notch, just like the stability and the gaps. 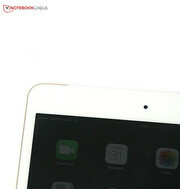 The front is covered by glass, is very glossy and it is just as susceptible to fingerprints as any other tablet. 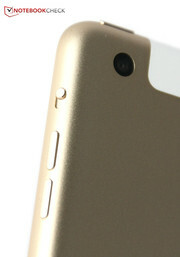 The front color white or black also continues at the back in the case of the LTE version with a small cover. The most noticeable change is the "Touch ID" button, which replaces the old home button and includes a fingerprint reader. 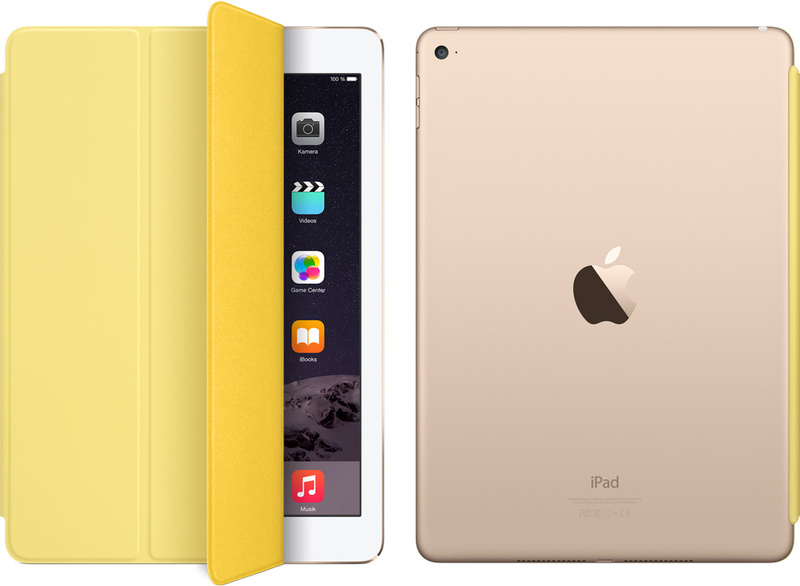 Apple introduces a new color for the iPad Mini 3: The color combination gold/white is now available besides spacegray/black and silver/white. We chose a review unit with the new color combination, which looks very noble. 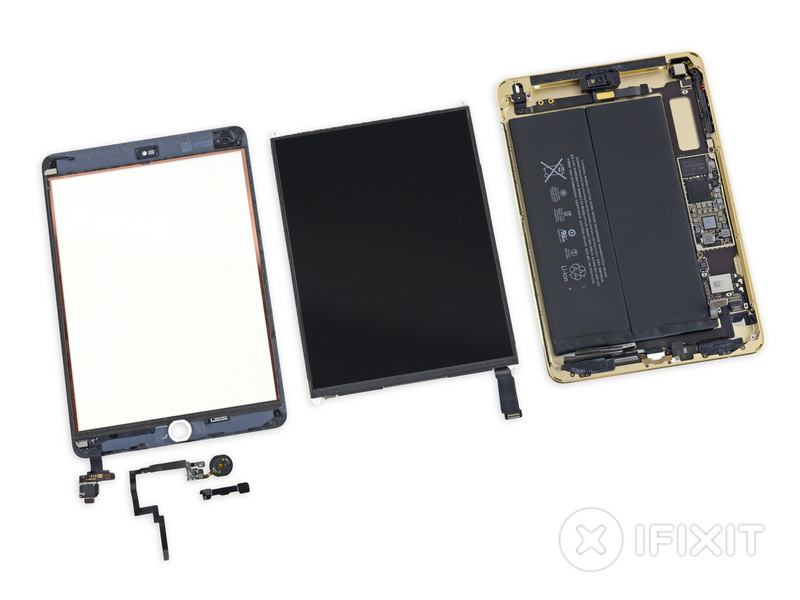 iFixit already dismantled the Apple iPad Mini 3 and checked the repairability. The result: 2 out of 10 points, because the manufacturer uses a lot of glue and even the "Touch ID" button has to be carefully removed and transferred to a new panel if you ever have to change the latter, for instance. Our version has 16 GB storage and an LTE module for the Internet on the road. Other configurations are Wi-Fi only with 64 or 128 GB iNAND flash. Physical connections are limited to a stereo jack at the top and a Lightning connector at the bottom. You can criticize that Apple still uses a proprietary connector instead of the standardized micro-USB port. At least the cable and the power adaptor are separate, so you can also use the power adaptor with a micro-USB cable for other devices. The most important new feature of the iPad Mini 3 is the "Touch ID" sensor, which replaces the old home button and recognizes fingerprints. Contrary to the Samsung Galaxy S5, for example, you don't have to swipe above the fingerprint reader, but just put your finger on the sensor. It also doesn't matter from which side you use your finger, it will always unlock the device. The sensor was always reliable during our review. You will have to decide for yourself what you think about the storing of your fingerprints in regard to data protection. 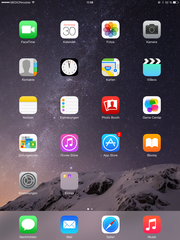 iOS 8.1 is obviously preloaded on the iPad Mini 3, but it is also available as an update for the iPad Mini Retina. The design is already familiar from iOS 7. The background still moves when you tilt the iPad, so objects seem to hover over a three-dimensional background – a great effect that looks very nice. The operating system is still intuitive and accessible in its 8th version, but the difference to iOS 7 is actually not that big. Instead, the manufacturer changed many details like the possibility to share purchased apps with other family members or continue documents on other Apple devices. However, you still have to live with crashes and performance issues of some third-party apps. More information about the new features is available in the review of the iPhone 6. 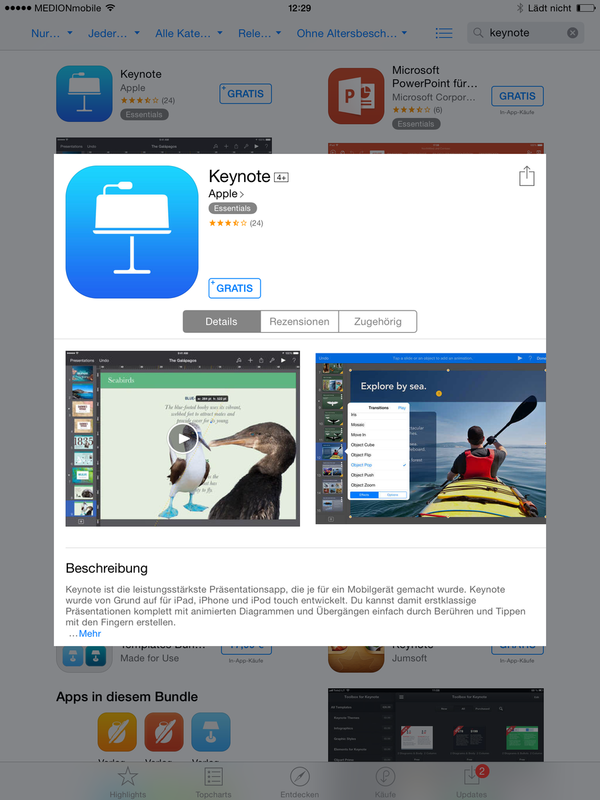 It is good that Apple's office suite with Keynote, Pages and Numbers is available for free as soon as you activate iOS 8.1. iMovie and GarageBand are free downloads in the AppStore as well. The communication modules did not really change, either: You still get support for the WLAN standards 802.11 a/b/g/n; the latest 802.11 ac standard is still missing. The latter is pretty much standard for premium devices nowadays, but at least you can use 2.4 and 5 GHz networks. 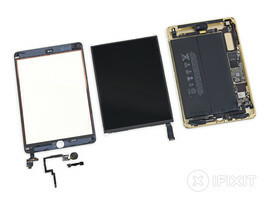 NFC is not available, either, even though the controller is integrated according to iFixit – but without the necessary antennas. Bluetooth 4.0, however, is included. Our review device also has a WWAN module for access to the Internet on the road. Four GSM bands, five UMTS bands and even 14 LTE frequencies are supported by the module. However, the transfer speeds of the iPad Mini 3 are limited to 100 Mbps downstream. We always had a good signal via UMTS in the metropolitan area with the pretty weak E-Plus network. 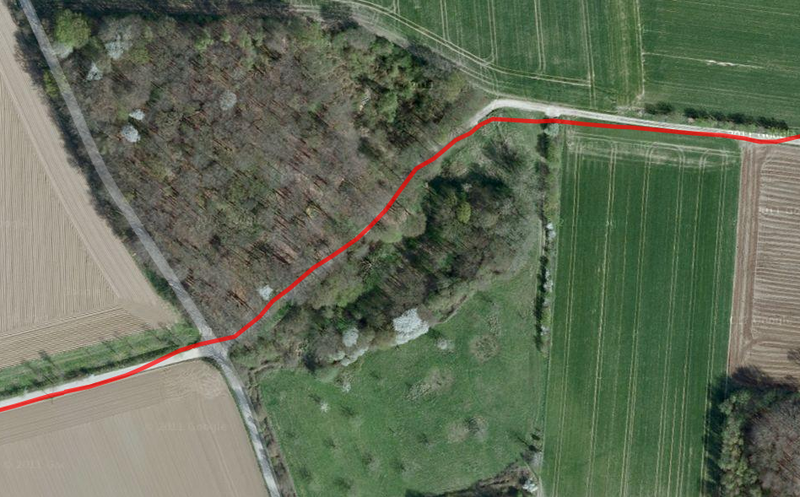 However, we were not really satisfied with the WLAN signal: We still had two-thirds of the signal with a distance of ten meters from the router and through two walls, but websites sometimes loaded very slowly. This changes when you get closer to the router, but there is still a slight delay. 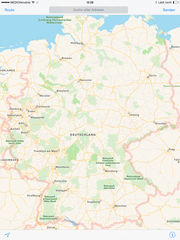 Our colleagues from heise.de already reported connection problems of iOS 8 in October, so there is still hope for a fix via update. 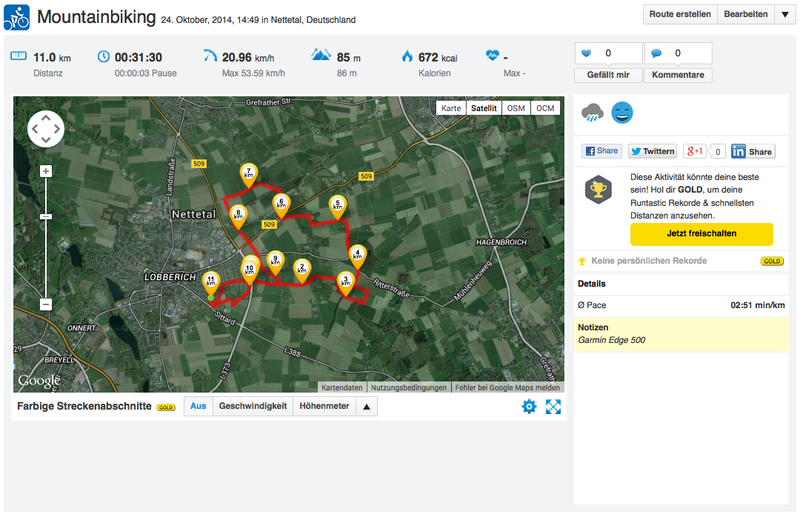 There were no problems with the location of the GPS module: We took the iPad Mini 3 on a short bicycle ride and compared it with the professional navigation device Garmin Edge 500, which acts as a reference device. The performance of the iPad Mini 3 is very good and the deviation of the track length compared to the professional navigation device is just 90 meters, even difficult sections like the bridge are no problem. 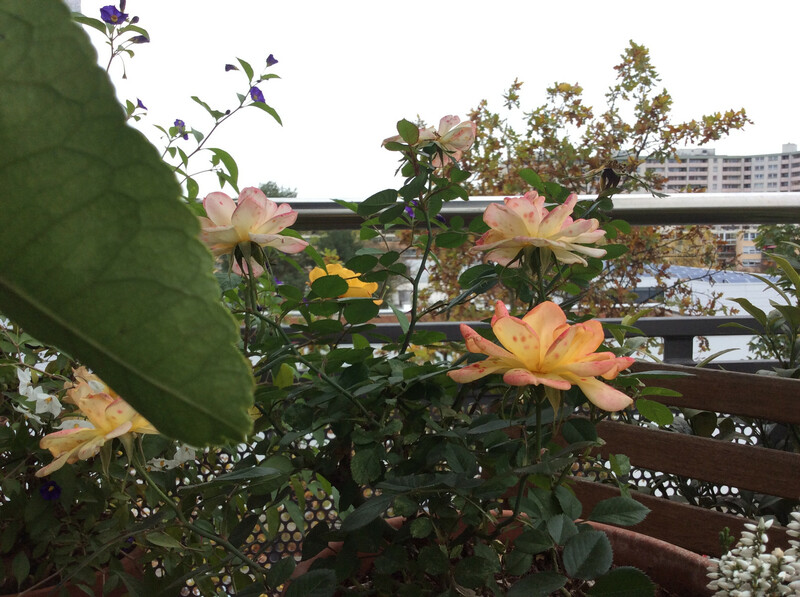 The cameras of the iPad Mini 3 are similar to the iPad Mini Retina: At the back is an iSight camera with 5 megapixels, which uses a lens with 5 elements. 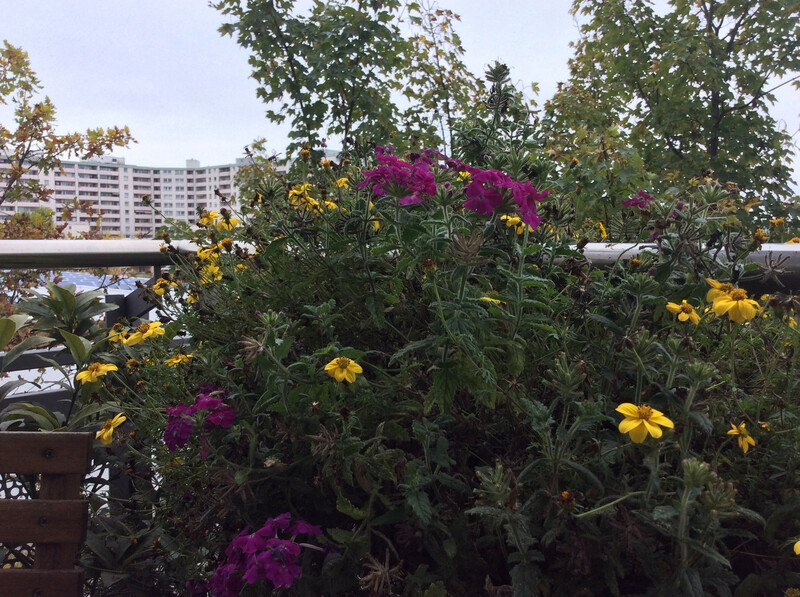 We actually like the picture quality under daylight: Details appear sharp, the focus works reliably and the colors are accurate as well. 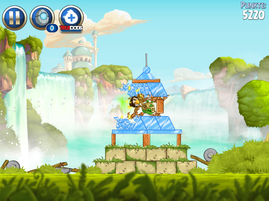 The HDR mode adds more dynamic to bright and dark areas. 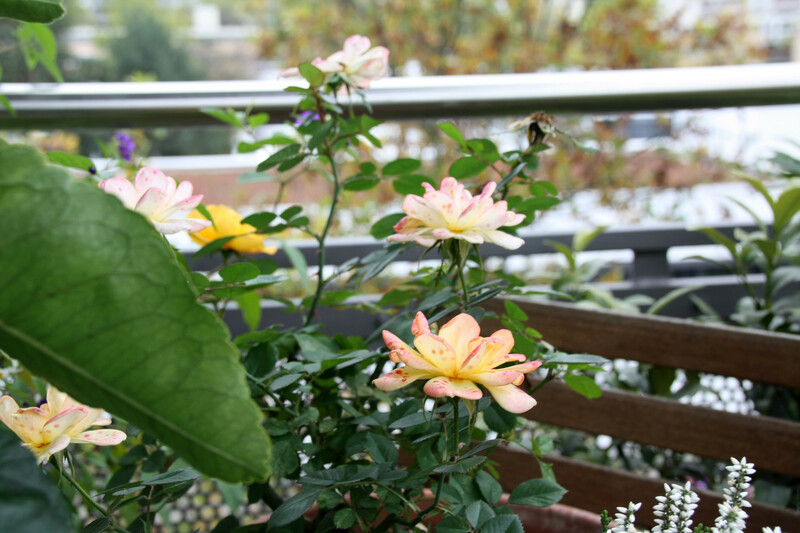 However, there is strong signal noise in bad lighting conditions since there is no LED flash or other illumination option, so the quality of the pictures is not very good. Videos can be recorded in 1080p with a frame rate of 30 fps. This is sufficient for good videos, but fast movements can be a little jerky. The webcam at the front only has a 1.2 MP sensor and is well-suited for video calls. Apple puts a USB power adaptor and a cable from USB to Lightning connector into the box. Configurations with a WWAN module also have a tool to remove the Nano-SIM card. 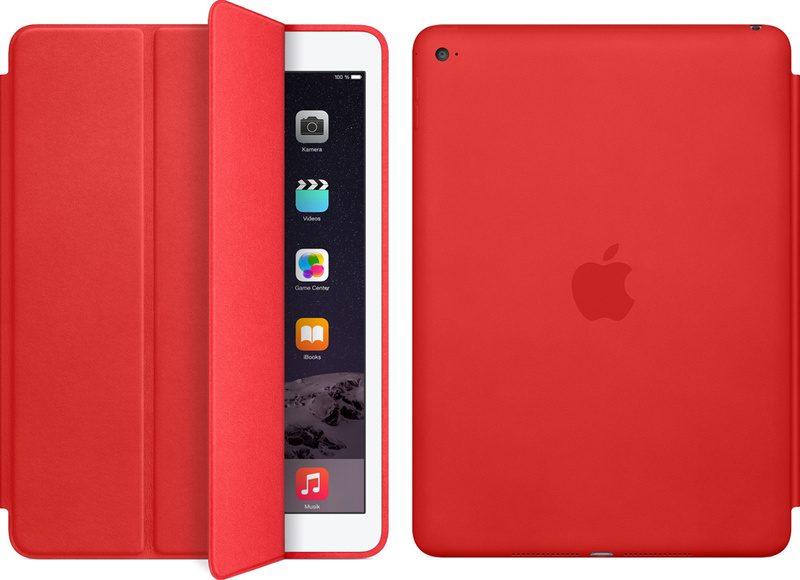 As always, Apple offers many accessories for its products, including the popular Smart Cover for the iPad Mini 3: Seven different colors are available and Apple charges 39 Euros (~$48) for it. If you also want to protect the back, then you can get the Smart Case made of leather, which is available for 69 Euros (~$85). 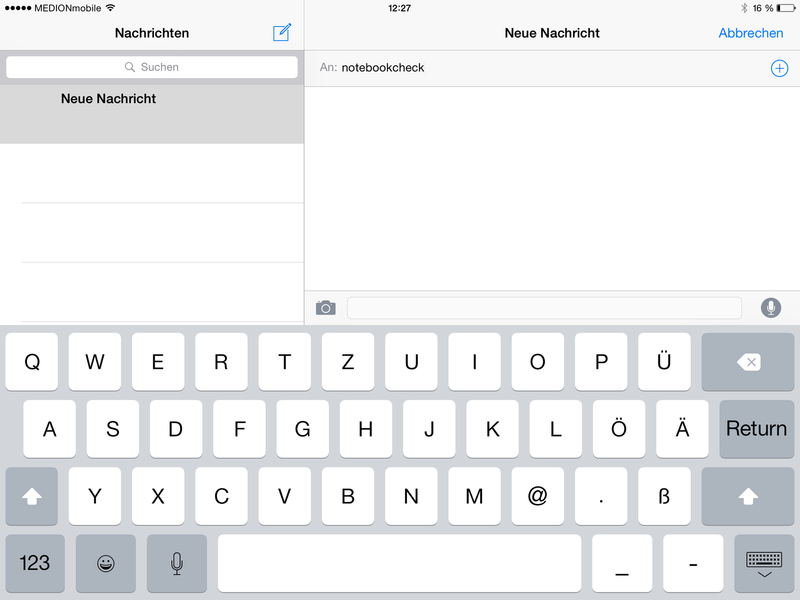 Apple's Wireless Keyboard can be used with the iPad Mini 3 as well, and it also costs 69 Euros (~$85). 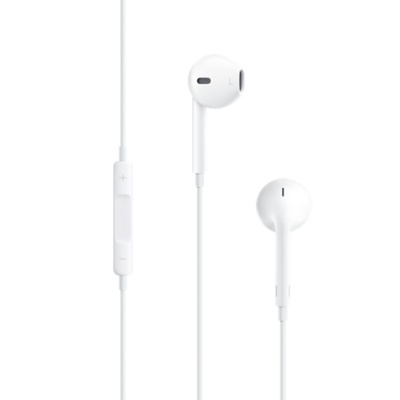 The EarPods are headphones with a remote control and a microphone, and they work with the iPad Mini 3: Apple charges 29 Euros (~$35) for them. Apple grants a warranty of one year for its iPad. For another 99 Euros (~$122) you can get AppleCare+, which means you can even get the device repaired if you damaged it accidentally for a service fee of 49 Euros (~$60). The battery, the power adaptor and the USB cable are covered as well. AppleCare+ extends the warranty period to 24 months. Operating the Apple iPad Mini 3 is pretty intuitive and quick to learn, even if you never used an Apple tablet before. 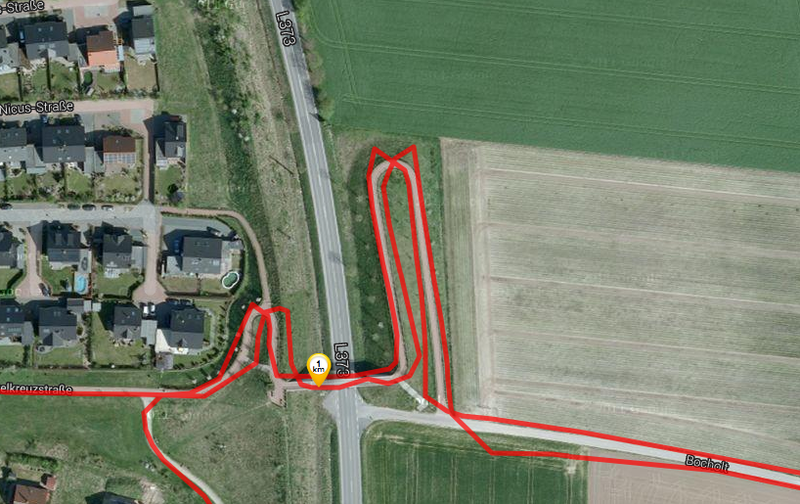 There are also several features that improve the handling. Those are usually multi-touch gestures; you can, for instance, use four fingers to return to the home menu. This works very reliably. There is one small drawback: Because of the very high display resolution, some control elements, for example in the browser, are so small that you don't always hit them. The touchscreen is convenient to use, precise up into the peripheral areas, has good gliding capabilities and it already reacts on light inputs. The physical buttons leave a very sophisticated impression as well, they have a well-defined pressure point and a physical button to mute the device is a comfortable feature. 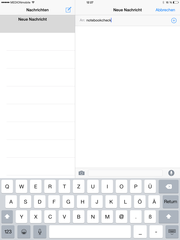 The on-screen keyboard is pretty simple and does not support swipe inputs, only voice inputs are possible besides the normal typing. At least you now get word predictions with "QuickType" and you can also use third-party keyboards. The input does a gob job in general, handles quick inputs well and you can choose one of hundreds of alternatives if you need more features. The 7.9-inch Retina display still has a very high resolution of 2048x1536 pixels, which means even small details are very sharp. 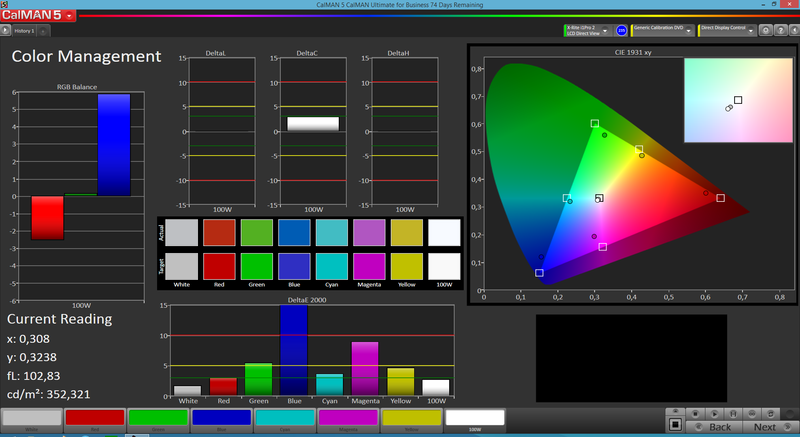 There are often discussions whether you need such a high resolution for a pretty small screen or not. 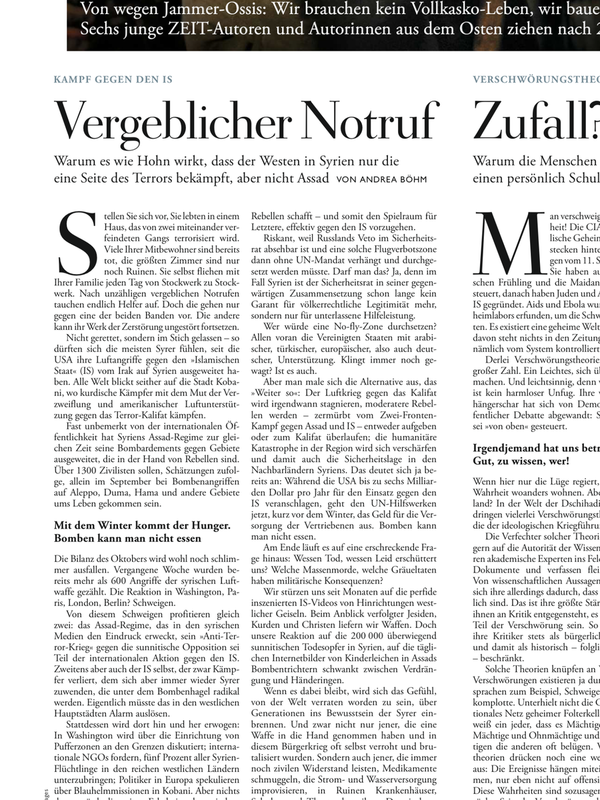 It is a fact that Apple found some convincing applications for it that can be impressive: E-papers in the Newsstand can be read without zooming because the small text is razor-sharp. The same applies for our website notebookcheck.net, we can read everything without zooming. 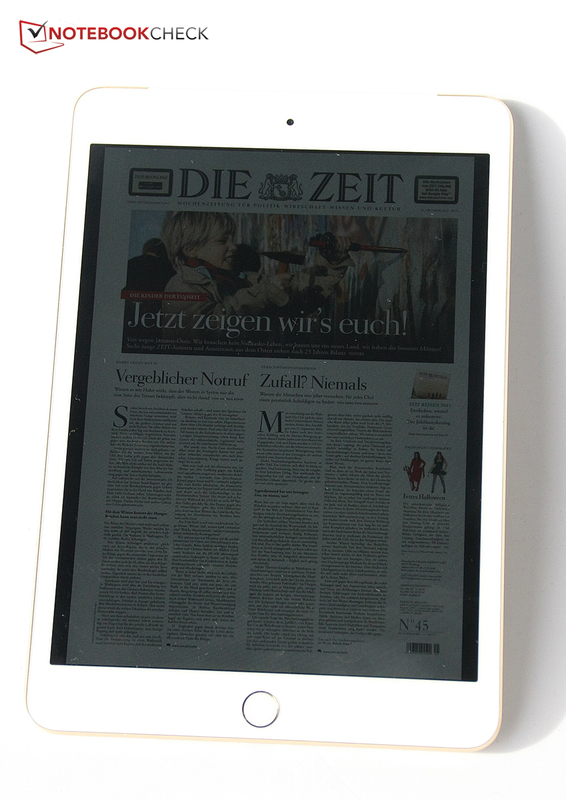 The luminance of the display is slightly lower compared to the iPad Mini Retina: 344 cd/m² on average vs. 398.4 cd/m². 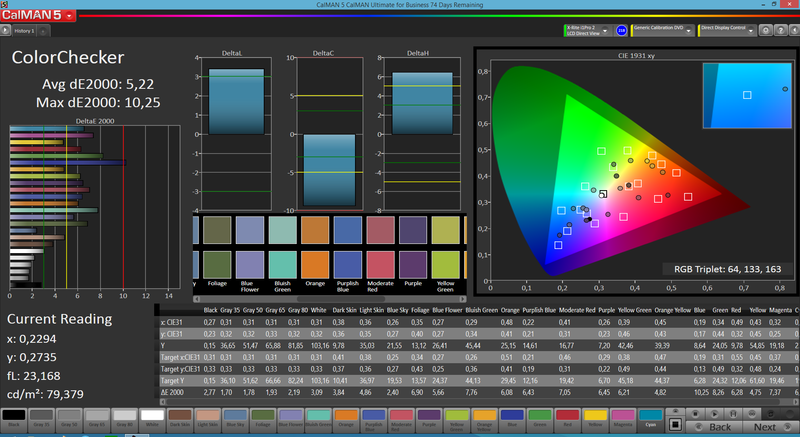 The brightness distribution is not perfectly even with 86%, but the human eye cannot see any brightness differences, even with large colored areas. 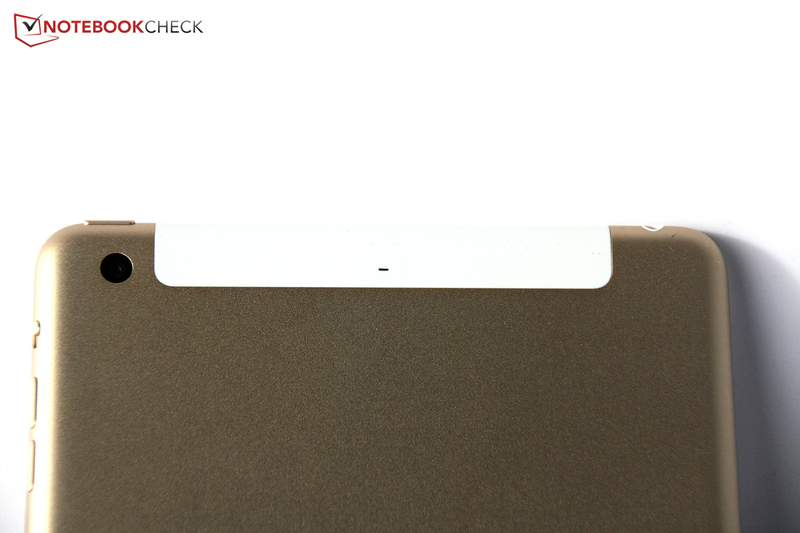 The iPad Mini 3 cannot quite keep up with its predecessor in terms of black value and contrast, either: The black value of 0.61 cd/m² is a bit higher than before, and you can actually see a slight gray veil over large black surfaces. Samsung’s AMOLED panels, for example, in the Galaxy Tab S 8.4, are just unbeatable in this section since black pixels are not illuminated. 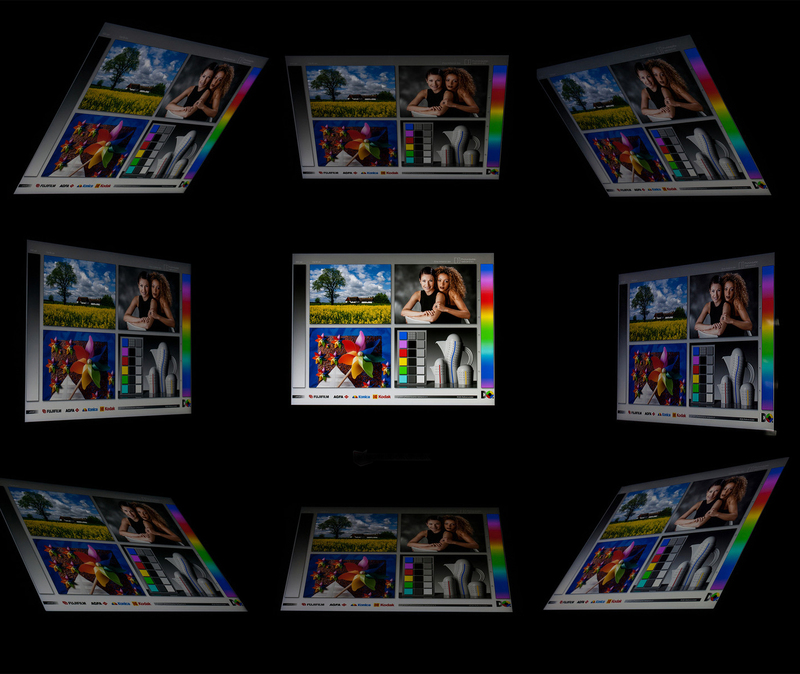 The lower brightness and the higher black value also result in a worse contrast ratio of 585:1. Thanks to the very high display resolution, the contents are very sharp and three-dimensional; the colors look nice but could actually be more vivid in our opinion. 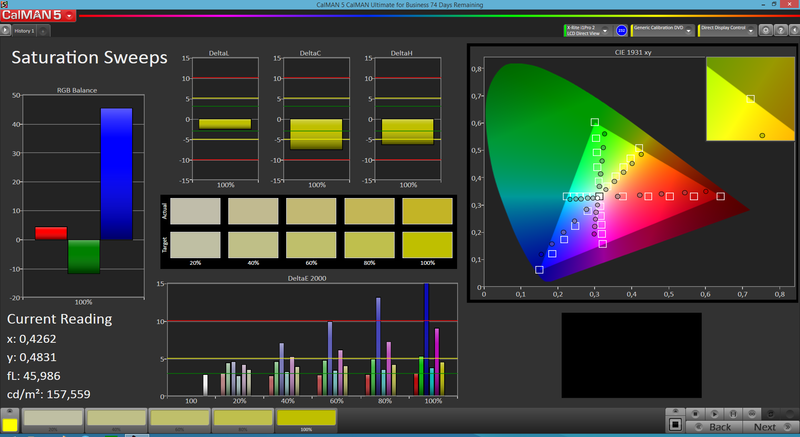 A further analysis with CalMAN software and a special measurement device also shows that the colors are a bit too pale compared to the reference color space sRGB. 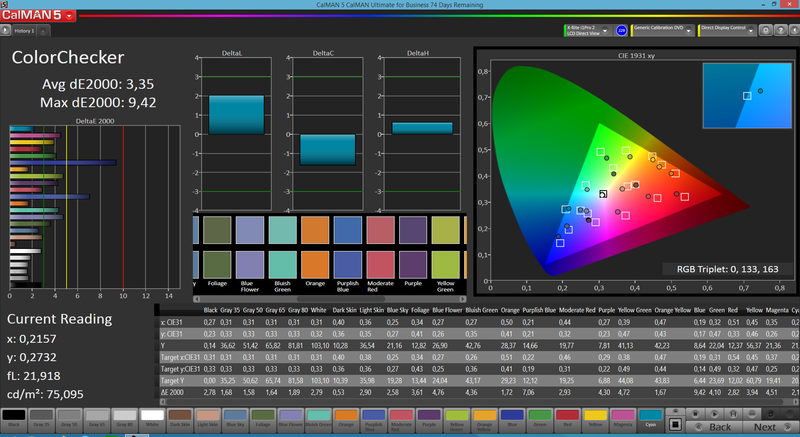 Blue tones have the highest deviation from the ideal value and the saturation was reduced, but this avoids a possible blue cast in return. The grayscale performance is very good and the deviations to the reference color space are comparatively low. The glossy surface, which is basically standard for smartphones and tablets, does affect the visibility under direct sunlight. However, the iPad Mini 3 can actually be used in brighter environments and you can usually recognize the contents quite well. You won’t have any issues in the shade or indoors. Color deviations or contrast reductions are no problem for the IPS display of the iPad Mini 3: You can see the display content even from very flat angles. Fortunately, the gap between the glass surface and the panel does not result in restrictions for the viewing angle this time. 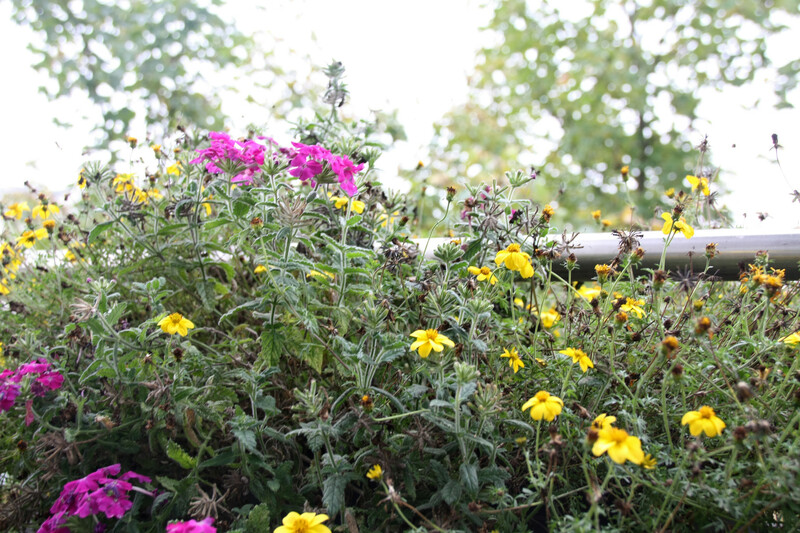 However, the glossy surface can once again affect the visibility. Even the Apple iPad Mini Retina was ahead of its rivals in terms of performance thanks to the Apple A7 SoC, and this does not change with the iPad Mini 3 since it uses the same SoC. The SoC consists of two 64-bit cores clocked at 1.3 GHz, which are supported by 1024 MB memory in the case of the iPad Mini 3. Look at the raw CPU performance and you can see that the iPad Mini 3 is roughly 50% ahead of the Samsung Galaxy Tab S 8.4 and also clearly ahead of the other rivals. It is therefore no surprise that the handling is very smooth. You also get a co-processor, which collects data from different sensors like the accelerometer, gyroscope or the compass to reduce the workload for the main processor. Similar to the predecessor, the iPad Mini 3 uses the very powerful PowerVR G6430 graphics unit. Our synthetic benchmarks show that it is only beaten by the Kepler GPU inside the Nvidia Shield Tablet, otherwise it is much faster than the majority of tablet GPUs. 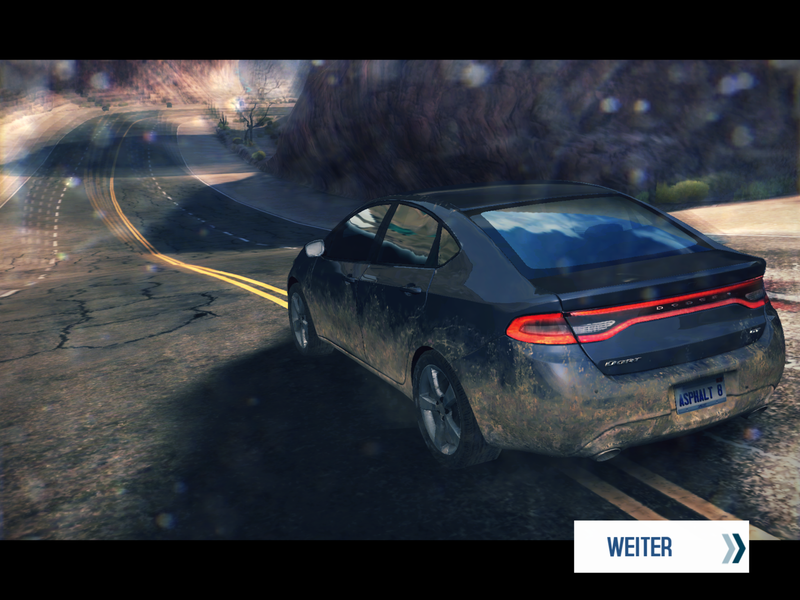 But it should be since it has to render all the contents for the high display resolution of 2084x1536 pixels, and this is no problem for the PowerVR G6430. We could not determine a throttling of the performance: The GFXBench 3.0 battery test, which renders a sequence thirty times in a row, showed the same result compared to a single run. The iPad Mini 3 is also very fast when it comes to web browsing: Navigating the web is pretty quick in general, if it wasn’t for the WLAN connectivity issues that we already mentioned in the Communication section. 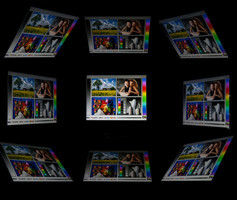 Loading websites and showing effects, however, were no problem: Websites loaded quickly, HTML5 sites and videos worked as intended. 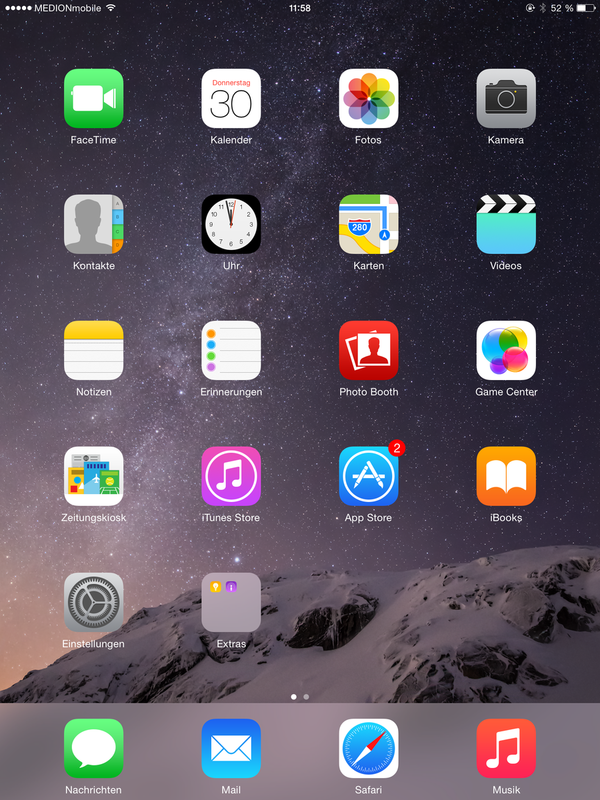 The synthetic benchmarks confirm the fast browser performance of the iPad Mini 3. 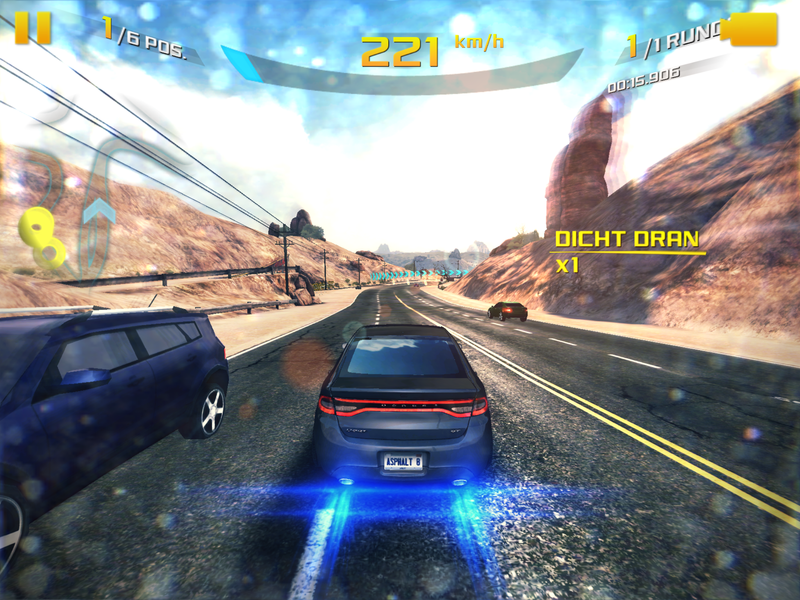 GPU-demanding games like Asphalt 8 can also be played on less powerful devices because the resolution is just not as high. The iPad Mini 3 on the other hand has a very high resolution of 2048x1536 pixels, but the game is still smooth and just looks very good thanks to the high resolution. We can hardly see aliasing at the edges and the graphics are very sharp and crisp. The controls via touchscreen and position sensor also work well. 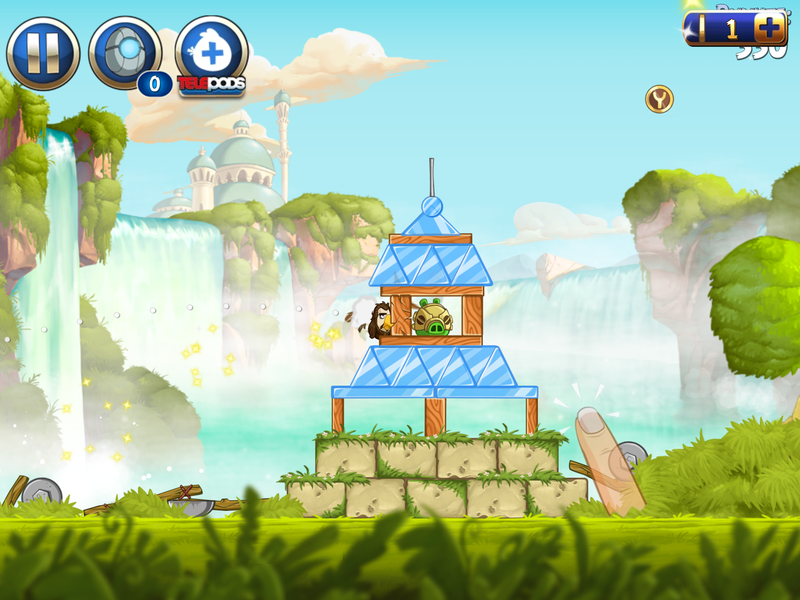 This also means there are obviously no problems with simple titles like Angry Birds: Star Wars 2. 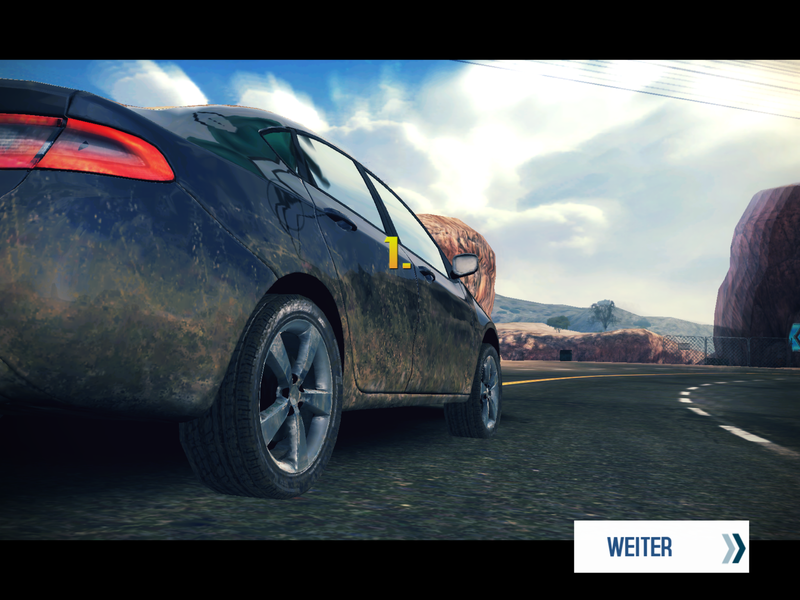 Games are no problem for the iPad Mini 3. The powerful GPU can also handle complex titles. The temperature development does not really differ from the predecessor – and this is a good thing: The iPad Mini Retina was already very inconspicuous in terms of temperatures, despite the high performance and the aluminum chassis. 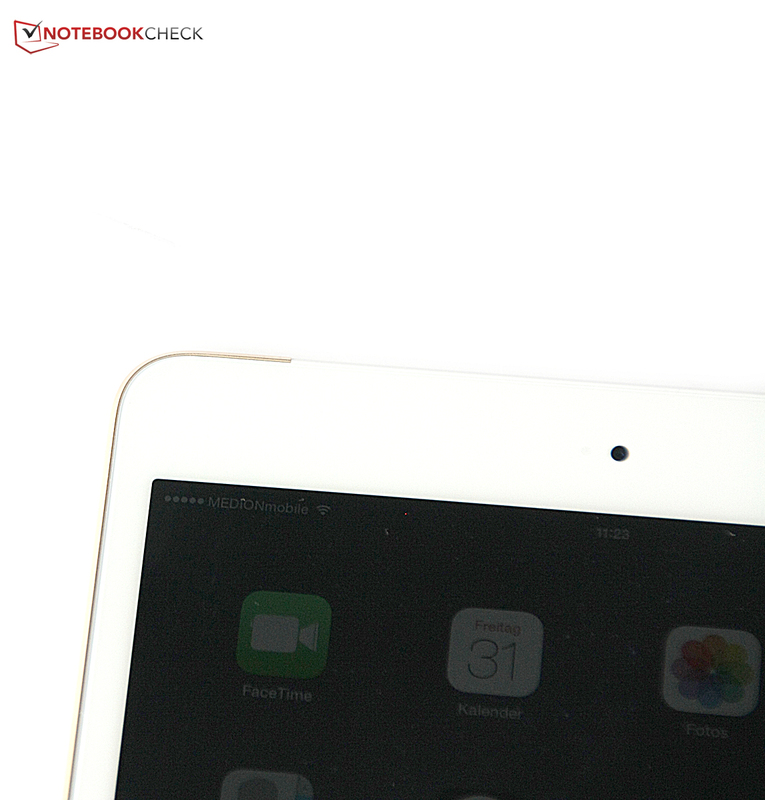 The maximum temperature of the iPad Mini 3 is even slightly lower compared to the predecessor: We can measure up to 36.7 °C at the front and at the back. Idling results in lower temperatures of up to 34.9 °C, but the difference is hardly perceptible. 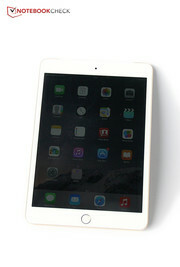 All in all, the Apple iPad Mini 3 is a very convenient device in regard to the temperature development. (+) The maximum temperature on the upper side is 36.7 °C / 98 F, compared to the average of 34.8 °C / 95 F, ranging from 22.2 to 51.8 °C for the class Tablet. 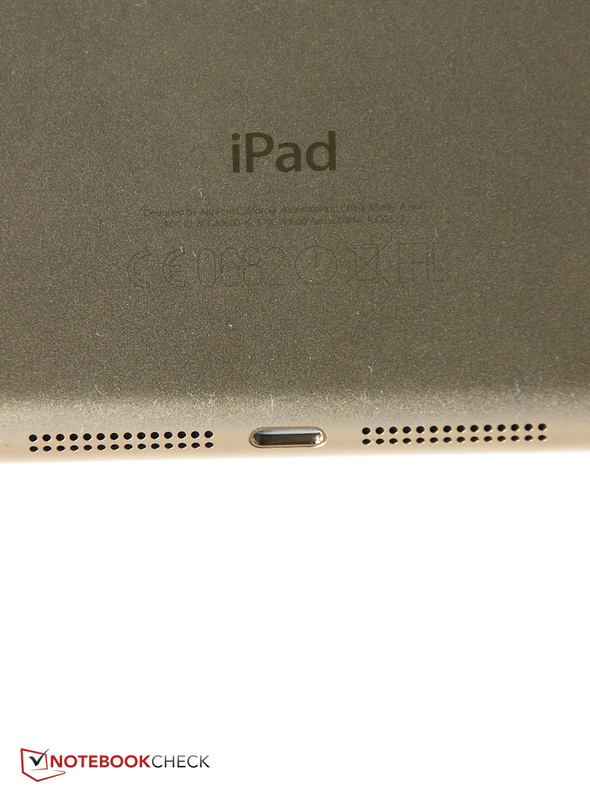 Similar to the predecessor, the iPad Mini 3 has two stereo speakers, but the device cannot create a real stereo effect since the two speakers surround the Lightning connector. However, the sound is powerful, has noticeable bass and it is well-balanced. There are no distortions and the sound is well-differentiated, even with higher volumes. We already criticized the position of the speakers in our last review of the predecessor: First, you can easily cover them with the hand in landscape mode, and they direct the sound toward the bottom when the iPad Mini 3 is lying on a table. 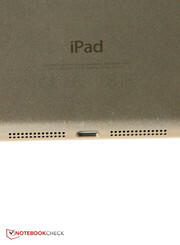 Still, the overall sound quality is impressive for a tablet and there is no criticism about the sound via stereo jack. 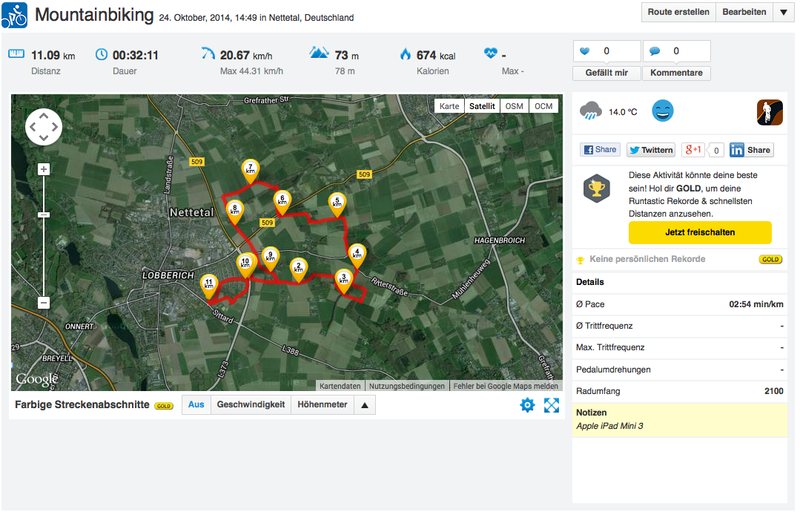 Apple actually tinkered with the energy management, but that can also be a result of the changed software. Both the minimum and maximum idle consumption were reduced, just like the absolute maximum consumption. However, the average load consumption is much higher in return with 7.2 Watts. 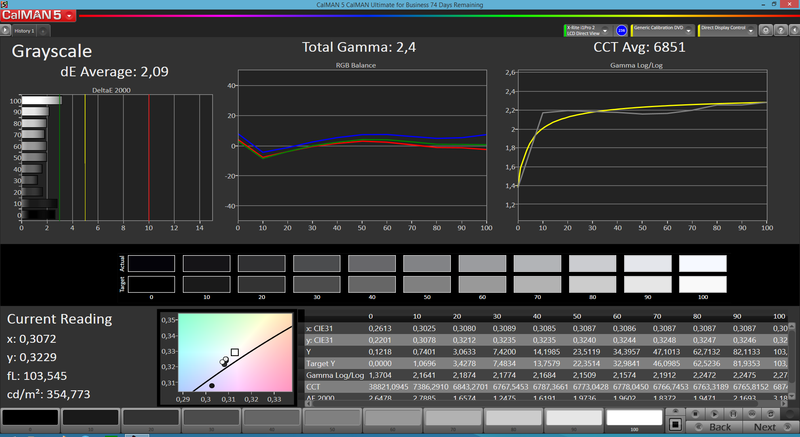 We will check the effects on the runtime in the next section. The changed consumption values actually only have a small impact on the battery runtimes. The battery capacity of 23.8 Wh is similar to the predecessor and is still pretty generous for a compact tablet. Samsung's Galaxy Tab S 8.4 (18.62 Wh) and the Nvidia Shield Tablet (19.75 Wh) both have batteries with a capacity of less than 20 Wh. Still, Samsung’s tablet can keep up in the WLAN test, but the Nvidia Shield Tablet is far behind. 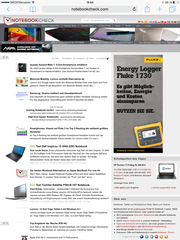 Google's Nexus 7 or the Amazon Kindle Fire HDX 7 cannot compete with Apple’s tablet, either. 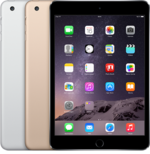 In general, the Apple iPad Mini 3 can compete with the runtimes of other tablets or sometimes even surpass them. This means you can easily cover a medium-haul flight and browse the web for more than one business day before you have to recharge the battery. In review: Apple iPad Mini 3. Mini update is really the correct term here: Except for the fingerprint reader and a new color for the case, the third generation of the iPad Mini does not offer any new features or components. iOS 8.1 can also be installed on older devices via update and the iPad Mini 2 is also available with more flash storage on the Internet. So is the additional charge of 100 Euros (~$124) for the "Touch ID" sensor in the iPad Mini 3 justified? We don’t think so – if you are not crazy about the security and have to secure your data via fingerprint, then you should save some money and get the iPad Mini 2, which even has a slightly brighter screen. 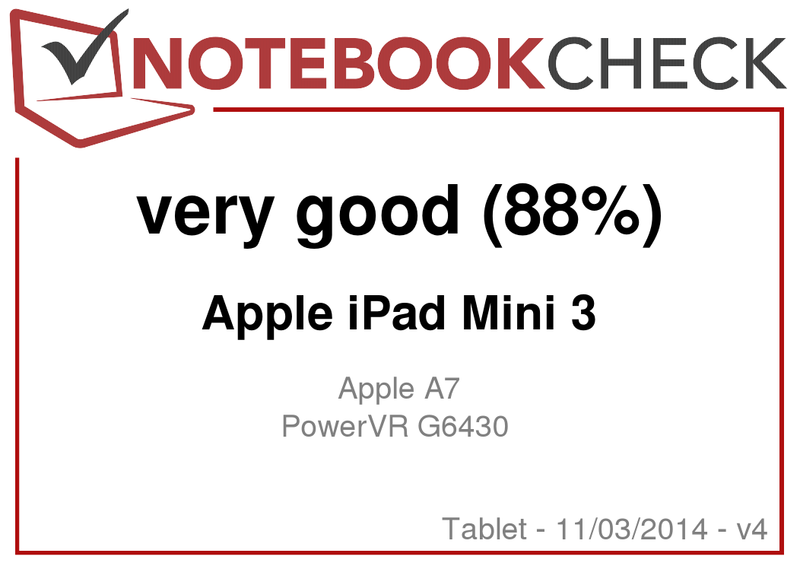 Apart from that the iPad Mini 3 is once again a very good tablet with a razor-sharp Retina display, a great build quality, fast processor and a powerful graphics unit. The office suite is free as well and the camera at the back takes decent pictures. The GPS module is very accurate, the touchscreen precise and the temperature development low. 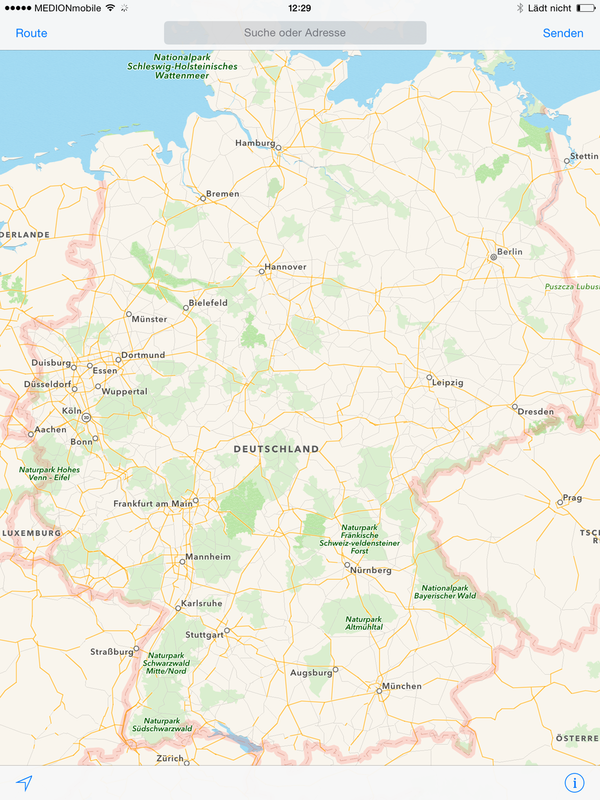 Drawbacks are the problems with the WLAN connection, but hopefully they can be fixed with a software update, and some apps still have problems with iOS 8. Typical for Apple are, unfortunately, the bad maintainability, the limited warranty period of 12 months and the proprietary Lightning connector. If you are planning to buy an iPad Mini, then you should really consider if you want to pay 100 Euros (~$124) more for the minor changes; the less expensive iPad Mini Retina is basically identical and just as sophisticated. 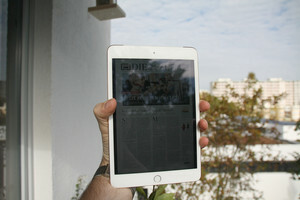 But it does not matter which iPad Mini you get, you get a very good tablet either way. Webcam: 5 Megapixels iSight camera, Auto-focus, Facial recognition, illumination from behind, Lens with 5 elements, Hybrid IR filter, ƒ/2.4 aperture. Front: 1.2 Megapixels, 720p HD Video, Facial recognition, Illumination from behind. Apple's iPad Mini 3 is a facelift with minor changes. The panel is not as bright as the predecessor but is otherwise identical. Biggest change: The Touch ID sensor. However, Apple wants a big additional charge over the iPad Mini Retina. New as well: The color gold. That covers all the changes: The speakers are still at the bottom but sound nice. Nothing changed at the front camera, but it is decent as well. The main camera at the back didn't change, either. 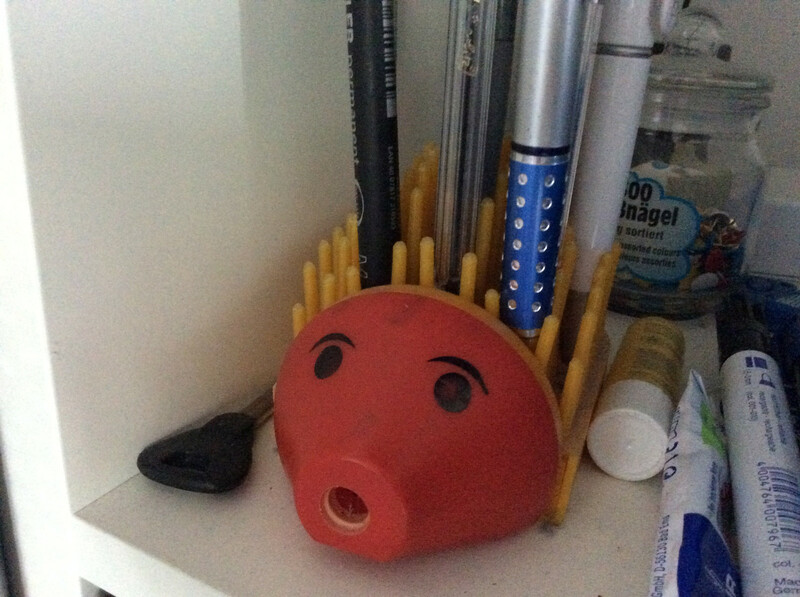 The cover of the WWAN model continues at the back. Still at the side is the handy mute toggle. The display is razor sharp. 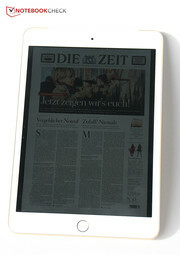 E-papers are convenient to read. 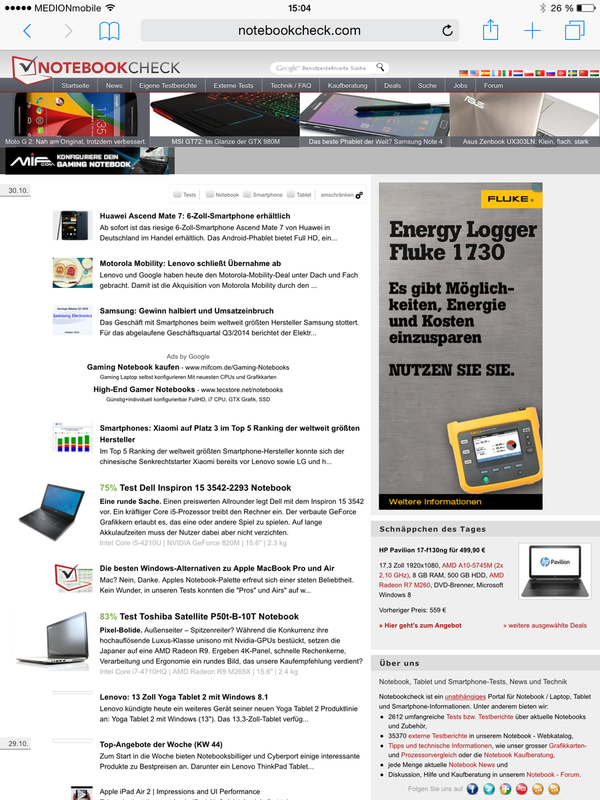 You can see all the details of the Notebookcheck website without zooming. 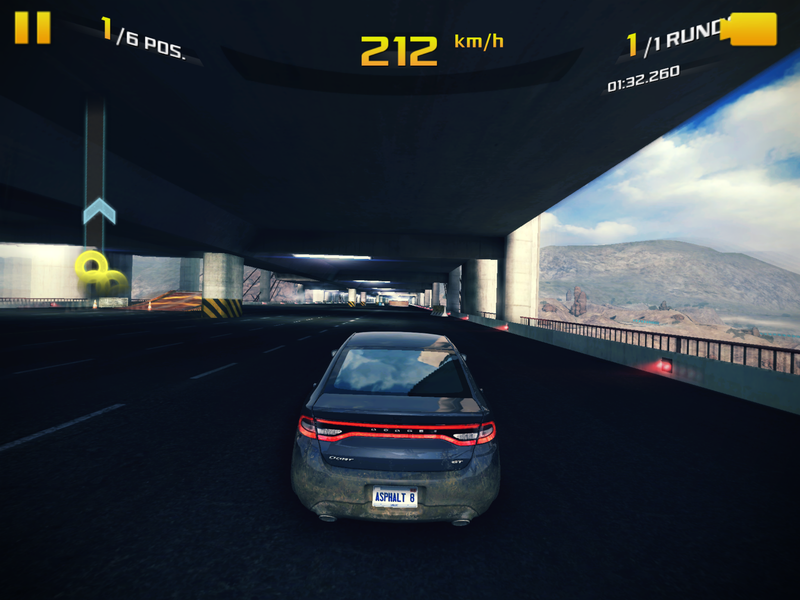 Despite the high resolution, the iPad Mini 3 has no problems with complex games like Asphalt 8. The games are always smooth. The good sensors contribute to the good gaming experience. This also applies for casual games like Angry Birds. iOS is preloaded this time and introduces some changes. 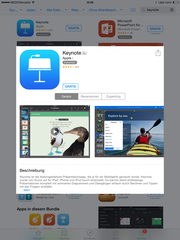 Apple's Office suite is free. 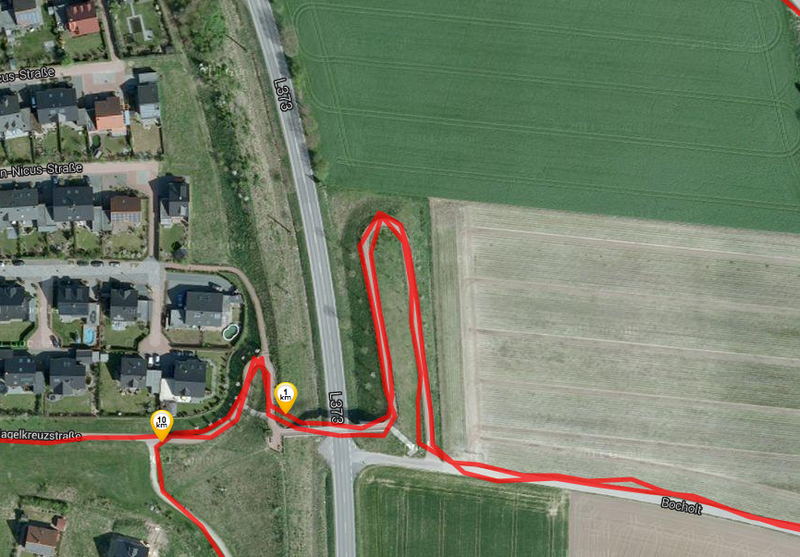 The GPS sensor is very accurate and enables precise navigation. 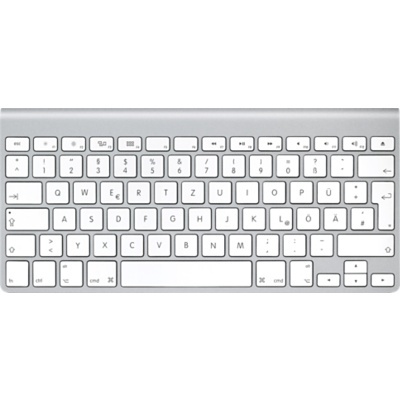 The keyboard is pretty simple but also very functional. Apple once again delivers a premium tablet, but it also has a premium price tag. The new version does not introduce any real innovations; it is more of a very small facelift. That Apple actually offers useful applications or such a high-resolution and pretty small display. Apple iPad Mini Retina, Google Nexus 7, Asus VivoTab Note 8, Nvidia Shield Tablet P1761W, HP Slate 8 Pro 7600eg, Huawei MediaPad M1 8.0, Samsung Galaxy Tab S 8.4 and Amazon Kindle Fire HDX 7.